The summer installment of the biannual trade show of the National Association of Music Merchants took place on July 28-30, at the Music City Center in Nashville, Tennessee. While never having quite the impact and inventory of Winter NAMM, the 2018 summer show provided some interesting additions to this year’s lineup of new guitars. Most of those being electric guitars, the acoustics required some sleuthing to track down. But they still cover most price ranges and a great deal of the familiar brand names. 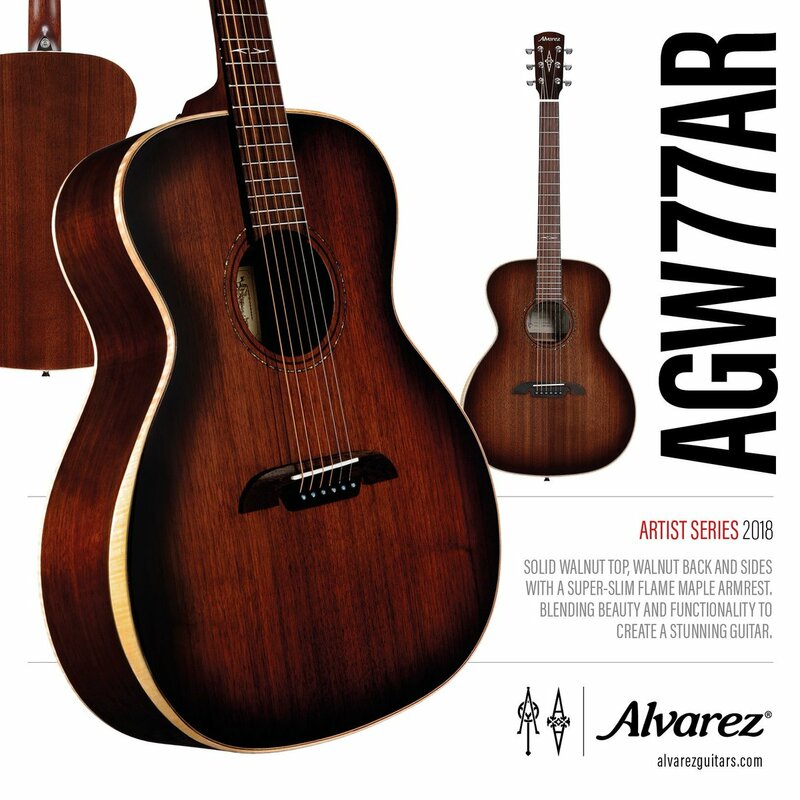 Alvarez Artist Series was attracting attention with the updated AGW77AR showing up on Twitter videos throughout the weekend. This long-scale Grand Auditorium model has walnut top with forward-shifted scalloped bracing and walnut back and sides, and their new, sleeker body bevel. Priced to sell at $499. See all the 2018 Alvarez guitars here. 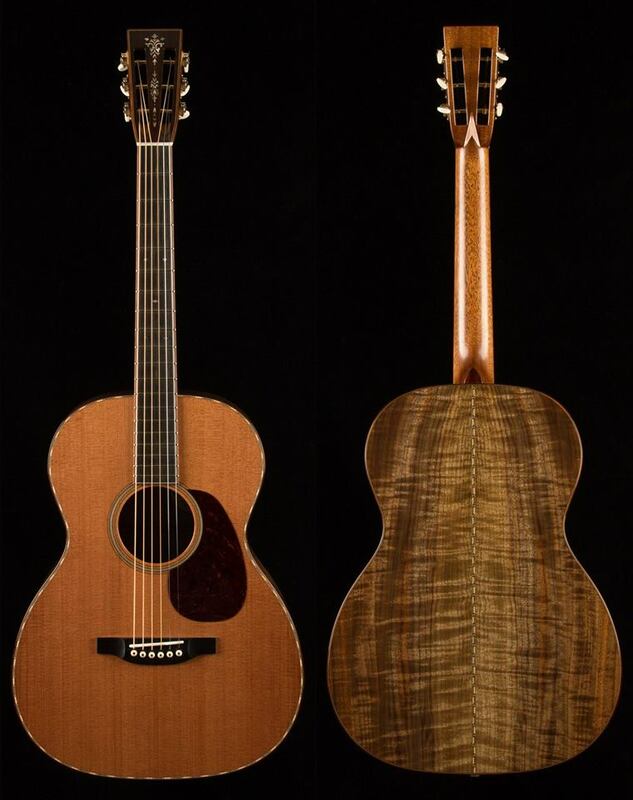 Luthier Dana Bourgeois clearly enjoys his trips to NAMM, and always comes up with some some seriously amazing one-of-a-kind guitars, like this OMS wood deluxe, with a redwood top and figured English walnut for the back and sides! Check out Bourgeois Guitars’ Facebook page for an eye-popping array of this NAMM’s belles of the ball. Or go to their main website to what’s new and interesting, and which dealers landed these very special instruments. 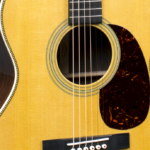 “The AJ-220S has a unique bell-like shape, a larger lower bout, and a small round upperbout which gives this new addition to our Advanced Jumbo family of guitars a unique voice.” These guitars feature a glued-in dovetail neck joint, mahogany back and sides, and solid Sitka Spruce tops, or an optional solid mahogany top that has its own mahogany burst toner option. Typical price $269. And there is also the cutaway acoustic-electric AJ-220SCE for $369. Offered in a variety of colored and burst finishes, these cutaway Super Jumbos feature the Shadow eSonic-II™ Stereo Pickup System and Grover machine heads, pricing starts at $459. C. F. Martin & Co. had a smallish offering compared to the January show, but it is spread across board. 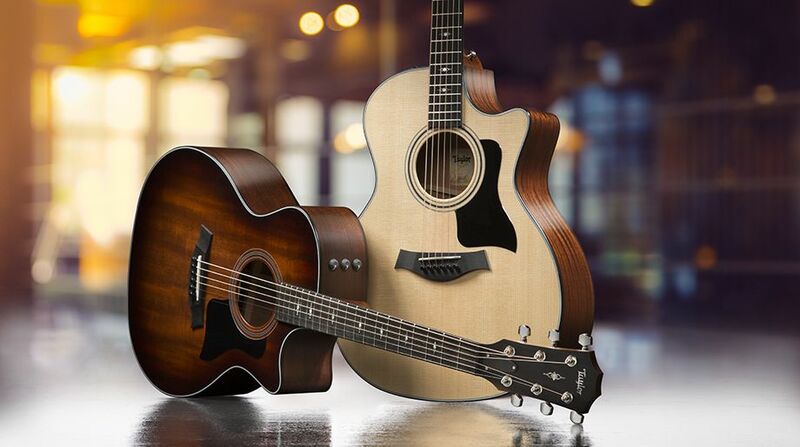 These include, but are not limited to a new affordable Road Series model, the 000RSG, with solid Siris back and sides and a solid Sitka spruce top (MAP $1,499,) two limited edition models made from black walnut, GPCE Black Walnut Ambertone, and the DE Black Walnut Ambertone which come with Fishman electronics(MAP $2,649 each,) a black, slope shoulder Jimmy Buffet Custom edition to go along with the Broadway musical Margaritaville (MAP $5,999,) the had-to-happen D-16EPD with soundboard featuring the iconic poker playing dogs painting (MAP $2,799,) and the stunning OM Arts and Crafts 2018 featuring ornate pearl inlay evoking the aesthetic of the Arts and Crafts movement in design, as well as German white oak back and sides, a torrefied Adirondack spruce top, Guatemalan rosewood trim with a MAP of $13,999.00. 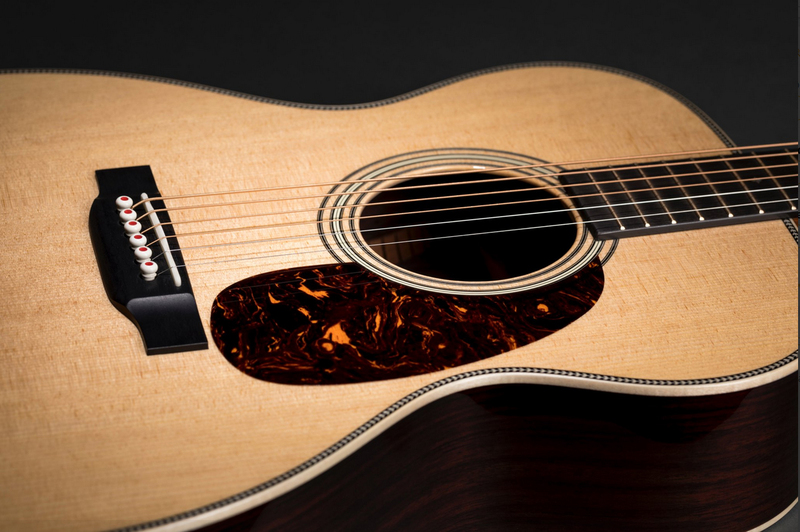 See all the new Martin models here. 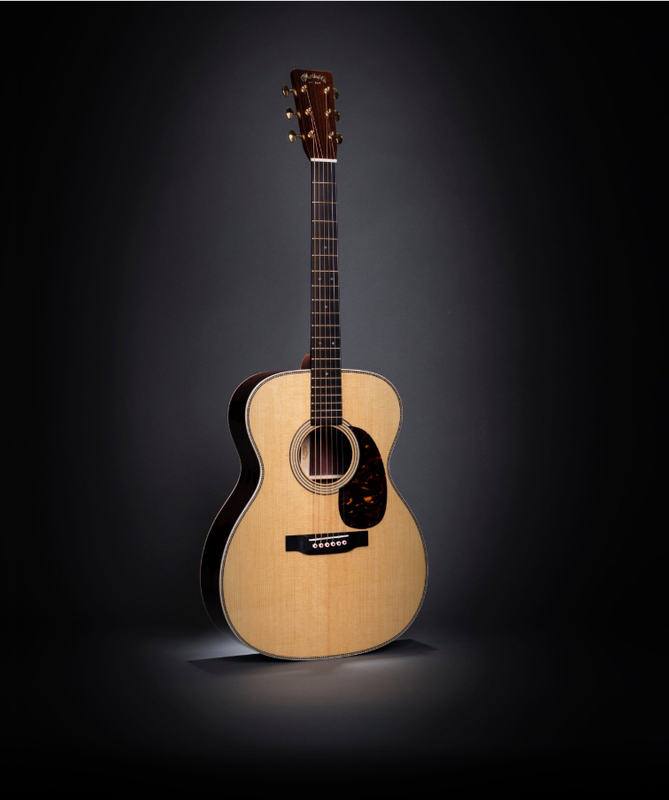 After introducing their new “V Class” bracing at Winter NAMM, Taylor Guitars released a new Builder’s Series model at Summer NAMM, the maple Builder’s Edition 614ce, as well as new Grand Auditorium models in their affordable 300 Series, the 314ce (Saple/Sitka) and the 324ce (Tasmanian Blackwood/mahogany) and 400 Series, 414ce (Ovankok/Sitka) and the 414ce-R (Indian rosewood/Stika) that feature V Class bracing, and individual cosmetic appointments. This debut was accompanied by the announcement that Taylor expects to convert all their series to the new bracing. It is intended to deliver a “more dynamic voice.” And from my experience with their Winter NAMM offering it does do exactly that, at least when compared to similar Taylors made the previous year. The Builder’s Edition 14ce has solid figured Big Leaf maple back and sides with a torrefied solid Sitka spruce top, beveled armrest, new Silent Satin finish with a Wild Honey burst on the back and sides (optional for the top,) and Scepter faceplate and fretboard inlays are among the impressive features. NAMM, the National Association of Music Merchants (NAMM), established in 1901, is the not-for-profit association that strengthens the $17 billion global music, sound and event technology products industry. Our association and our trade shows serve as the crossroads for professionals wanting to seek out the newest innovations in music, recording technology, sound, stage and lighting products. Membership also includes access to the latest industry news and education, opportunities for music advocacy and cost-saving programs that will help your business thrive. All of these activities and programs are designed to promote music making for people of all ages and to help create a more musical world.